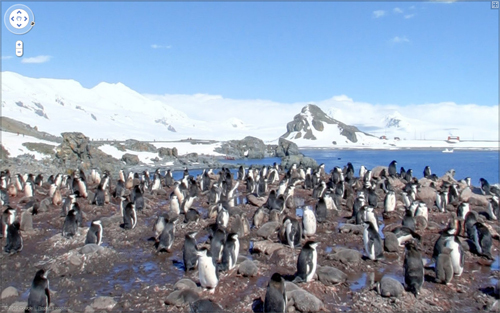 Google Street View Mapped Antarctica : Penguins Fear Privacy Issues! It’s no joke. Google has recently entered the icy country, Antarctica, with its much-criticized eyes called Street Views. Definitely, this has opened up a new opportunity for us to explore the area as well as learn many things from the imagery. However, it’s no wonder if penguins of Antarctica begin to feel insecure about their privacy. That’s not all. Google hopes that Google Street View now can be helpful for the penguins as well as people of Brazil and Ireland to navigate nearby. Hmm, interesting. Penguins are sure going to love that. But it’s definitely an important question whether penguins fear privacy issues. If they are up-to-date with the current world and know how Google Street View raises privacy concerns, they must be afraid of their privacy. Madagascar! Oh I love those four. Skipper, Rico, Kowalski and Private. I’m a big fan of them! This free sharing of ifnroatmion seems too good to be true. Like communism.